We had a new boiler fitted last year and it’s bigger than the last one so the cupboard door we had no longer fits. 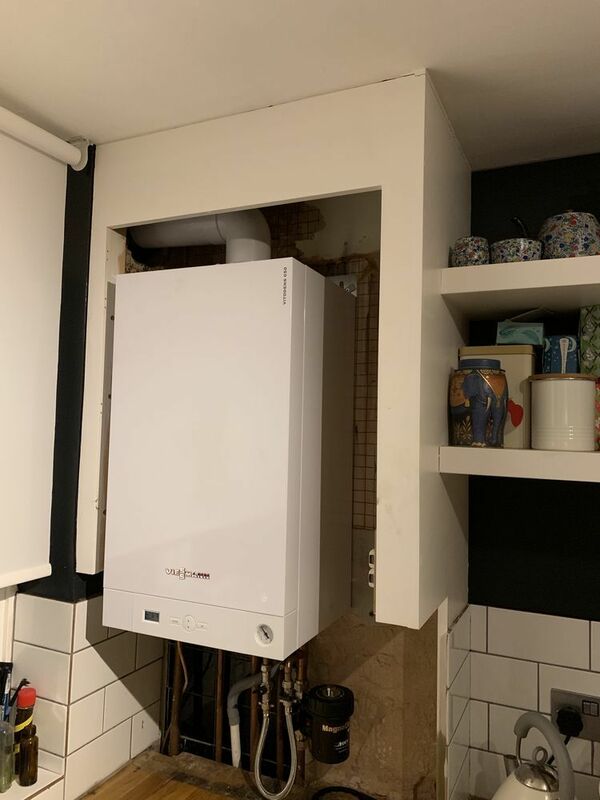 There’s also an extension of the tiled wall, mounted to a loose back panel that needs amending to fit at the bottom of the boiler, this section needs to continue to be removable for access to the plumbing. The existing cupboard is painted Mdf, which we’d like to match. Alex was very professional and did a great job with our cupboard for a good price too!